In cases involving divorce, time sharing plans, and other family law decisions, judgments handed down by the court can have a major impact on you and your loved ones, both now and in the future. In the event you are unhappy with a decision or if you feel a mistake was made, you may be entitled to file a family law appeal. New facts and evidence have been discovered which could potentially impact your case. 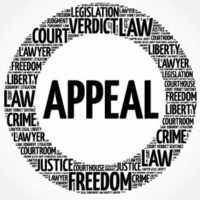 A notice of appeal must be filed with Florida District Appeals Court within 30 days of any order or judgment, a copy of which must be served on the other parties involved. There is no automatic right of appeal, so you will need to request a review of the evidence or facts being disputed in your case. If the appellate court agrees to hear your case, your attorney will submit a brief outlining any errors that occurred, all relevant court transcripts, records, and additional evidence, as well as any existing case law that supports your request. The other party’s attorney will likely submit a brief outlining why the order or ruling should be upheld. The information will be presented for review by a panel of three judges, and the attorneys involved will make oral arguments in the case. If the appeals court rules in your favor, they may modify the existing order or judgment, or order a new hearing in your case. If you are unhappy with a judgment or order received in a divorce or family law case, it is important to speak with our Fort Lauderdale appeals attorney as soon as possible. We will be happy to meet with you to discuss your situation and to determine if you may have grounds to appeal. Bear in mind that you only have thirty days to request an appeal once a court decision is made, so call or contact the Vanessa L. Prieto Law Offices, LLC online today.